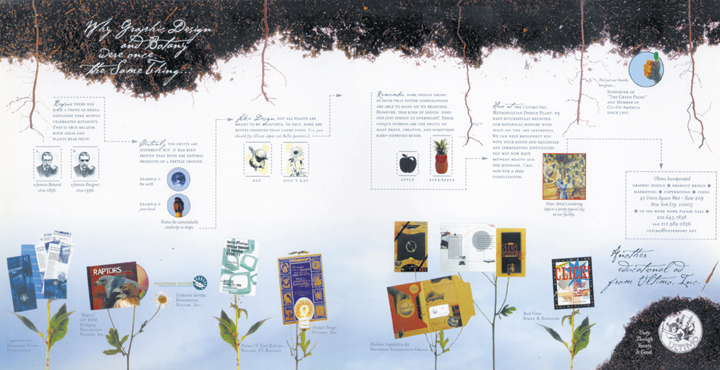 Archival "Alternative Pick" Ultimo Print Ads - Clare Ultimo Inc.
Why "Every Story Tells a Picture"
When the "Alternative Pick" was a series of amazing resource books for design/art buyers, we participated in them with a spread each year, and they were a lot of fun to write. While you may not be able to read the text at this size, trust that these are pretty hilarious. 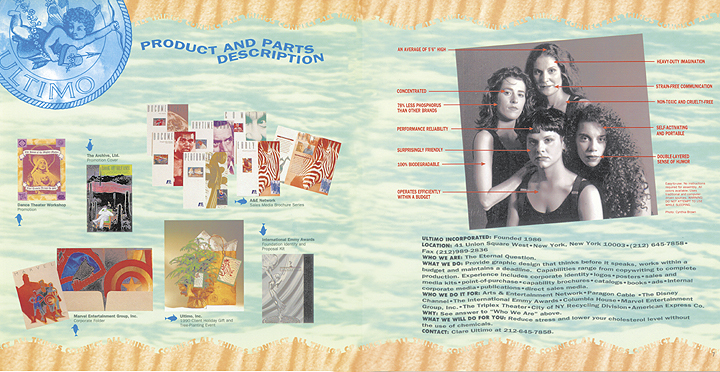 Also shows the first Ultimo logo, the angel...which we began using in 1986. The Alternative Pick is now a great online resource and we are still participating. No. 3 (1994) Ultimo Inc.: A Freak of Nature? 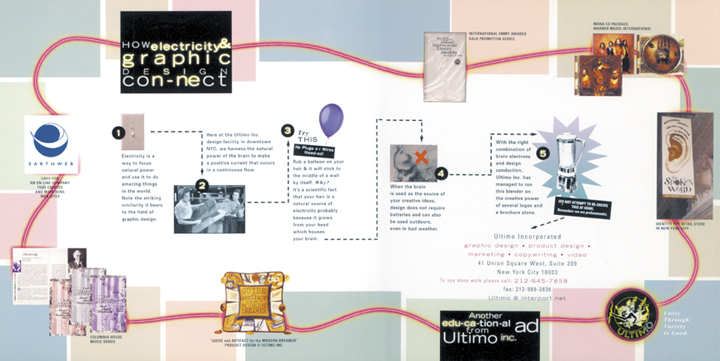 (1994) Ultimo Inc.: A Freak of Nature?